So welcome in over at my WordPress.com blog where I now reside. Hopefully it will all work out. For link up clicking on the blue button will take you to a page to add in your link and to find everyone else who links up. As I mentioned last week on this meme there will be some giveaways during August. (My favourite month! ).There is always a space for those who link on this meme for the month of August giveaway… but as you can tell the odds of winning on that are low! But still have a go! So for this week I will randomly draw a number from those who link a post to IMWAYR. I’ll make the draw on Thursday (NZ time) which will be Wednesday for many other areas. Oh! And this week it is for a book of choice for the winner from the Book Depository. The winner will be emailed and announced on next week’s post. This review book is the only book I finished. I was away at the beginning of the week and then had a slightly distracted week! From my recently purchased shelf I am reading the latest in what is turning out to be quite a saga! It’s good to catch up on this bunch of women. I most likely will read this one but then again the reading mood might draw me to something else. Pingback: It’s Monday. What Are You Reading? 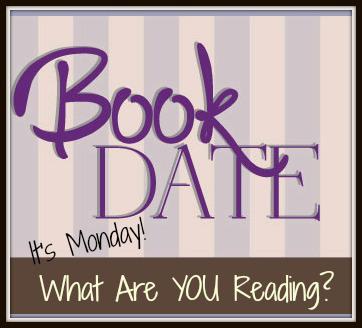 Pingback: It’s Monday – What Are You Reading? Hope you enjoy this Sarah Morgan one Megan. It is much more “meatier” than her usual contemp romance. Still has romance but full of secrets and life issues. I liked it very much. Congrats on the move! I left a comment earlier but don’t see it so I apologize if this ends up appearing twice. I haven’t tried Wendy Wax but I like the cover and looks like a good beach read. Have a great week! This particular series by Wendy Wax has turned into an “auto read” for me because I always want to see what is happening in the lives of all the women characters. I love Sarah Morgan’s books! It looks like you need to update your Goodreads profile with the link to this WordPress blog 🙂 Just thought you should know. Jackie you are so right, will do that now. I love Sarah’s books too. Thanks for the giveaways! I’m currently hosting one of those, too. I hope you enjoy your upcoming read! I think I may have visited and seen your giveaway so must check out that I have entered!! Thanks for continuing to host. I will link the new site back to my post. Yes and no, it has a redemptive ending which is what I always want!! I’m reading Sold On A Monday too! Jaymi hope you are liking Sold on a Monday as much as I did. I keep meaning to read the Wendy Wax series – especially during summer because the covers are so gorgeously summer – but I haven’t managed it yet. It probably won’t be this summer but hopefully next one! I’m really looking forward to your review of Sold on a Monday. I can understand the distracted week. My reading has been taking a hit lately for the same reason. Katherine, I think you’ll like the Wendy Wax series and… good on audio as well! Sold on a Monday was good – not as intense as some of her previous ones that I have read, although that said for parents having children sold on you would be intense! I love that you alter your reading by your moods! I do that way too much! Patty its a luxury isn’t it! I really only do it this month because the pressure of review books, but… that said I am cutting back on “review” books and reading and reviewing by mood will happen more. I know exactly what you mean…i enjoy it more this way! I know you do, too! Thanks for the reminder (in the comments above) to fix my link to your blog! Sue, I used WordPress when I was a teacher so that helps although it was a paid site. I know I have still missed out on doing some things but so long as I don’t lose the blog I’ll be happy! I have to catch up on Wendy Wax’s series. I loved the first book. Your site looks beautiful. Have a great week! Thanks Yvonne, quite a few more books in the Wendy W series, she has spun a good thing along! I hope the move goes smoothly for you! I always had trouble posting in the comments on your other site, so personally I’m excited to be able to finally comment here. Last week I also read Sold on a Monday…Looking forward to your review! Tina yes I know some people had trouble posting comments on Blogger, they don’t make it easy! Thank you, I lost some “pretties” but I can’t have everything! Always fun to catch up with Wendy Wax’s Florida ladies. Congrats on a smooth move to WordPress. I’ve wondered about doing the same, but can’t face the potential hassle! I know Stephanie – it does take a bit of work and I probably haven’t done everything I should, but mostly it is an import from an export so not too bad. Welcome to WordPress. Not my fave platform, but love the look of your site. Wendy Wax is always a good read. I haven’t read this one yet. I’ll need to check it out. Cheryl Wendy Wax does write well and I am really enjoying this one. I need to read my copy of Best Beach Ever! I’m seriously lagging behind. Enjoy your new home here…and your favorite month of August! I am enjoying Best Beach Ever. And raising a toast to August! Congrats on the move. I will have to fix my link and follow! Thanks Nise, yes it will all cause a little confusion to start but hopefully will work out.